Two are long-term plans: Mayor Greg Ballard’s LiveIndy Plan, which focuses on public safety through education and new police hires, and Plan 2020, a $2 million roadmap of “promises we’re making to residents” on the occasion of the city’s bicentennial in 2021. They’ve also got their eye on the redevelopment of Tarkington Park, a 10.5-acre green space at 39th and Illinois streets currently on the fringe between the low-income Crown Hill and “genteel” Meridian-Kessler neighborhoods. 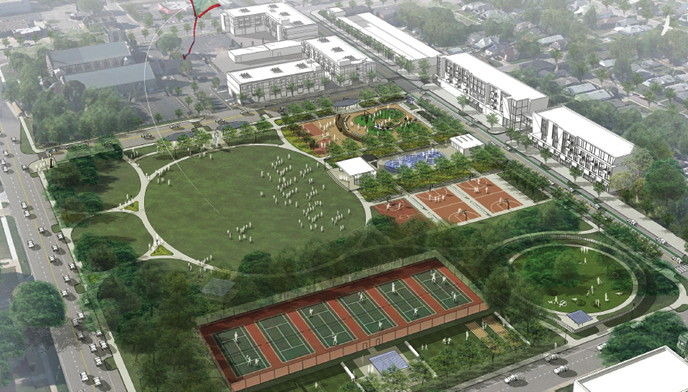 Full funding for the development, which goes toward park improvements and a new grocery store, is still pending. Local design firm Rundell Ernstberger Associates (REA) is leading the process. 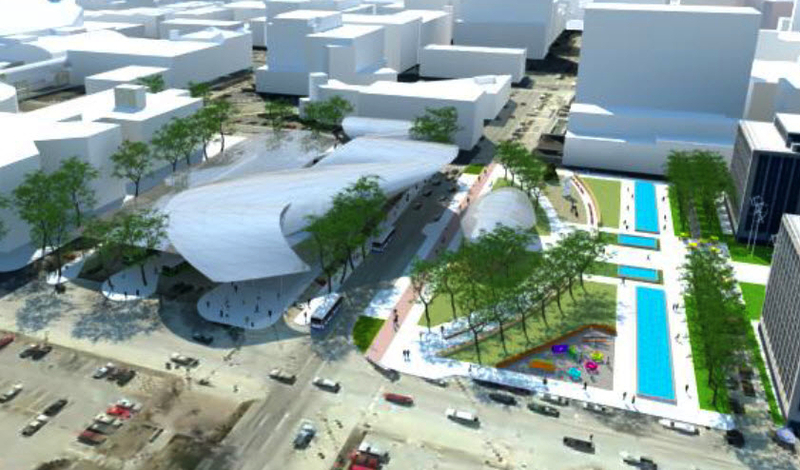 Indianapolis is also in the middle of a transit overhaul, which may include building a new $20 million downtown transit hub. The project’s breaking ground soon. Indianapolis Monthly also calls out an in-progress luxury apartment tower at the former site of Market Square Arena. Since the demolition of Market Square Arena, surface parking lots have deadened the downtown area.